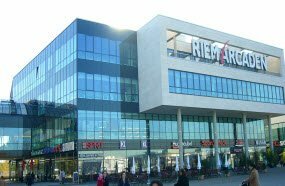 Olympia-Einkaufszentrum is the most popular trading mall in Munich. It holds sales regularly. 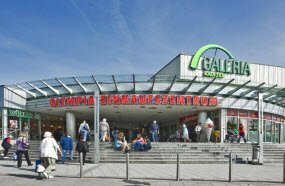 Olympia-Einkaufszentrum offers the great variety of goods - from democracy labels to designer things. 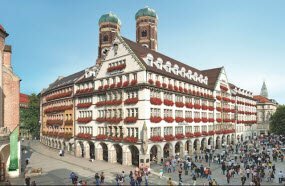 The biggest shopping center in Bavaria, which has 135 shops and boutiques. Almost every week is holds a special occasion: exhibition, fashion show, party and so on. Monday-Saturday: 9:30am - 8pm. During the national and religious holidays is closed. On New Year’s and Christmas Eves: 9:30am - 2pm. It’s a six-story high building with a diverse choice of men clothes. It sells costumes, jeans, shirts - everything a modern man would need. 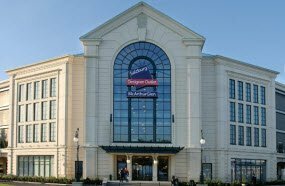 This shopping center is designed as 5 different houses. It contains 50 boutiques and shops, 8 cafes and restaurants and an expo-center Kunsthalle der Hypo-Kulturstiftung. Getting the address for this center is tricky because you can get here four four different streets. 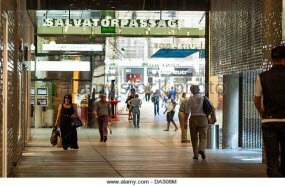 A shopping center with 120 shops and boutiques - that’s a place where you would find anything you want. The center has 3 floors, where the shops, cafes, barber shops, etc. are located. Do you still think that the designer pieces are ought to be expensive? Classic Outlet is a place that will change your mind. It is the only outlet shop that is situated right in the center of the city, so it won’t be a trouble finding it.